The Greening Bourj Al Shamali initiative aims to green and improve the living conditions in Bourj Al Shamali refugee camp in Lebanon, a theoretically temporary Palestinian refugee camp that is now a 60-year-old informal urban environment, densely built and without green spaces. 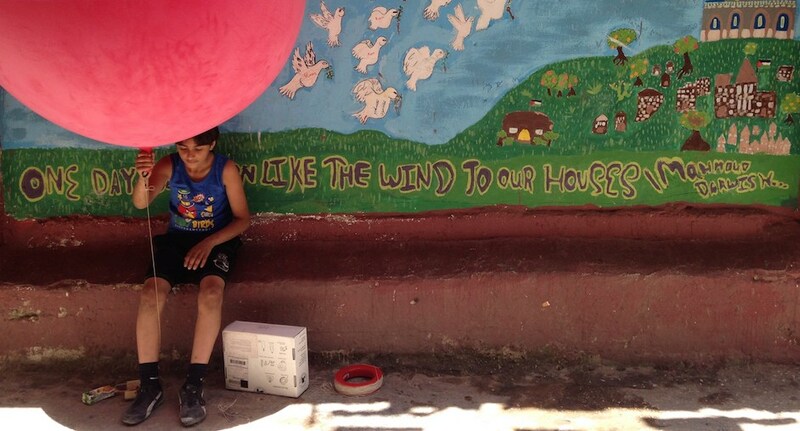 The aim is to create a community garden in the camp, as well as launch an urban agriculture pilot, but before any of this could start, three students – Mustapha Daklhoul, Firas Ismail and Amal Al Said – and the local committee have been engaged in balloon mapping the camp. Join Assemble Papers on a Skype call with Claudia Martinez Mansell when she returns to Lebanon in January. Claudia will tell us more about Greening Bourj Al Shamali and the importance of citizen science to the project, including a short video featuring Mustapha and Firas and their recent work in the camp.